Teams will be registered for one single fee of $725. Players in the SCPL must hold a CSA Adult Player Membership. Registered individually by each player. Details on the CSA Adult Player Membership are below. - FREE CSA organized outdoor “pick-up” in Spring & Fall. - Winter pick-up-, if a facility is available, may require an additional fee for facility rental. League is for players that are currently playing at a high level. This will be a competitive league. Scores will be kept and a champion named at the end of the season. Individuals are responsible for forming their own teams or joining an existing squad. If you don't have a team, email the commissioners and they will put you in touch with other interested players (see 'how to join' below) Additional teams will be formed as we have enough players and/or players can be added to current teams as needed. League plays once a week on Sunday evenings. Teams are expected to provide their own uniforms. 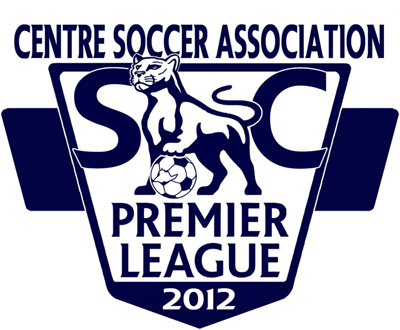 The State College Premier League (SCPL) kicked off its inaugural season in the summer of 2012. The main goal of this league is to provide a competitive arena for players to enjoy the game of soccer. Common sense should play a major role in each player’s attitude towards officials, opponents, and their team mates. Unlike other CSA Adult programing individuals are not placed on teams automatically. Teams are preformed and then join the league. FOR TEAMS: If you have a team you would like to enter in to the league please register and click 'new team'. If you do not see such an option, that means we have reached the maximum number of teams for the season - 8 teams. FOR INDIVIDUALS: If you are an individual who would like to play then please express interest through the CSA web site and we will pass your information on to team captains or reach out to the League Commissioner. Signing up to play does not get you placed on a team in this league. If you do not get placed on a team CSA will be happy to move you to our Adult Rec Program until a place on a team opens up.